Relaxed winter nights call for satisfying no-fuss suppers. Pick your protein of choice, toss in fresh ingredients, and let the slow cooker do the rest! Each recipe starts with either our Slow-Cooker Lamb Shanks, Slow-Cooker Turkey Breast, Slow-Cooker Chicken, Slow-Cooker Pork Chops, Slow-Cooker Salmon, or Slow-Cooker Black Beans. 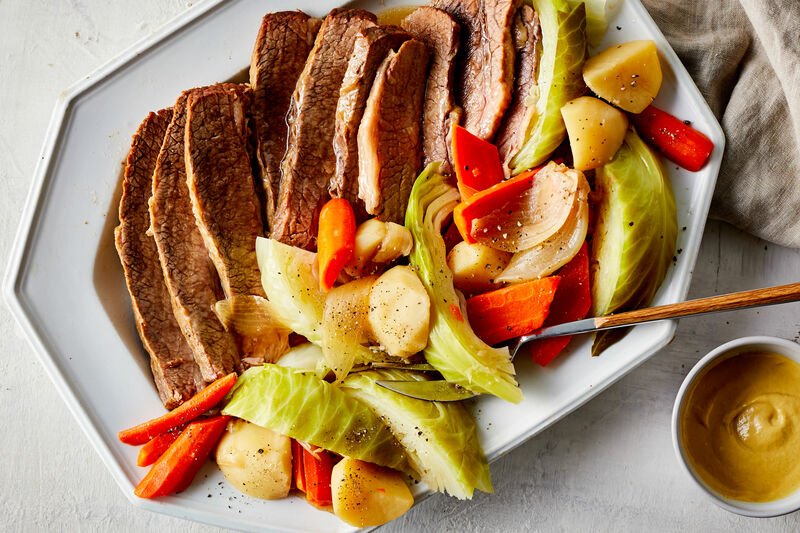 We’ve created three extremely different, completely delicious recipes to accompany each slow-cooked protein. Check out your new favorite weeknight supper recipes. You’d never guess that this sophisticated dish was made in a slow cooker. Tender lamb shanks over creamy parmesan grits makes for a great weeknight meal or dinner party standout. The genius addition of slow-cooked lamb to this classic Italian pasta dish is sure to impress your crowd. Plenty of cheese and pancetta round out the indulgent meal. You can’t have true Shepherd’s Pie without lamb, and this cast-iron skillet recipe is simply the best. Layer in green peas, carrots, and onions and top with a layer of prepared mashed potatoes, before digging in this comforting dish! Switch up this classic salad with our slow-cooked protein-packed turkey, and top with the creamy homemade blue cheese-buttermilk dressing. You can have this filling salad ready in just 15 minutes. This herby slow-cooked turkey is enough to rival the deliciousness of your Thanksgiving bird! Roasted fingerling potatoes make a filling side, while the zingy mustard sauce deserves to be ladled over just about anything. Change up the classic Hot Brown sandwich from Louisville by turning it into a tasty casserole. A creamy, crunchy mixture of fresh tomatoes, Parmesan cheese, toasted bread, and crispy bacon is too good when baked until perfectly golden. Use our simple slow-cooked chicken to create a rich, exotic dinner with a spicy red curry sauce and fluffy jasmine rice. An aromatic blend of lemongrass, ginger, and garlic is made even more delicious with a special creamy, spicy kick from coconut cream and sliced red Fresno chiles. Top these tender, cloud-like chicken biscuit sandwiches with tangy red cabbage, a few pickles, and plenty of our creamy white barbecue sauce! You won’t even be craving that Chick-fil-a sandwich come Sunday. What’s better than this traditional comfort dish on its own? This version with slow-cooked chicken and a cast-iron skillet! Top with puff pastry, and bake until its gloriously golden and bubbly. A standout brown-butter relish made with golden raisins, olives, and sherry vinegar completes this hearty pork dinner. Serve with savory roasted sweet potatoes and a side of couscous to keep things interesting. A mixture of fresh vegetables, tender pork, crispy bacon, and even candied pecans comes together for a hearty, delicious salad that can stand alone. 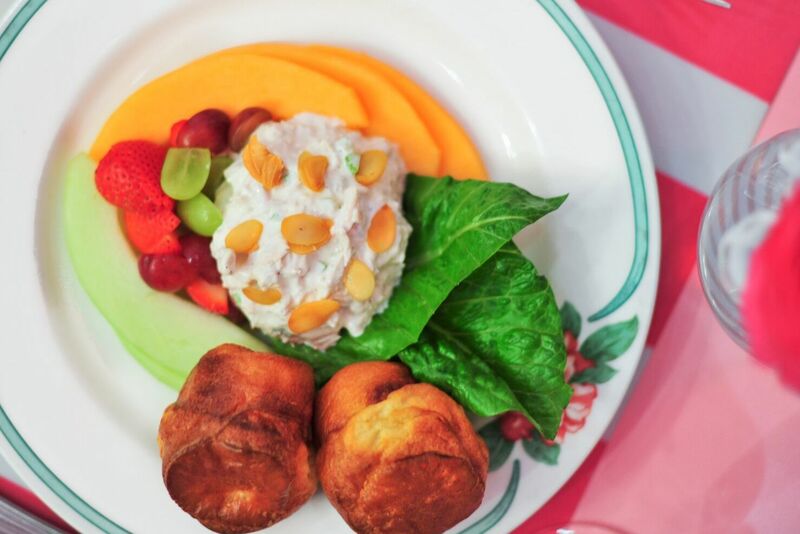 Not to mention, this colorful, superfood-packed dish is pretty as a picture! This casserole made with crunchy bread cubes, creamy cheese, and tender pork makes an equally delicious big-batch breakfast as a filling family dinner! Tender, glazed salmon, brown rice, Brussels sprouts, and shiitake mushrooms make up this hearty one-bowl meal that leaves you full and happy. The teriyaki twist gives fun flavor to an easy dish. Our homemade citrus vinaigrette steals the show with its crisp combination of orange juice, honey, Dijon mustard, and orange zest in this fresh salad. Speckled with tender salmon, this dish uses soft butter lettuce, creamy avocado, and orange segments for perfect bites that burst with flavor. Simple, flavorful, and unique—this savory bagel sandwich uses our favorite slow-cooked salmon, a zingy cream cheese mixture, arugula, and extra garnishes to create an indulgent meal that feels special for a weekend lunch or weeknight dinner. The star of this protein-packed show is the Comeback Sauce, a spicy and smoky finishing touch. The mayonnaise-based sauce hails from Mississippi, but Southerners all across the Deep South love the spicy kick it gives to any dish. This pasta dish with Cajun flair is a weeknight favorite of ours, using easy slow-cooked black beans, shrimp, and Andouille sausage and finishing with a light buttery, lemony sauce. Your crew will love these build-your-own tostadas, topped with slow-cooked black beans, a mango-avocado salsa, and queso fresco. 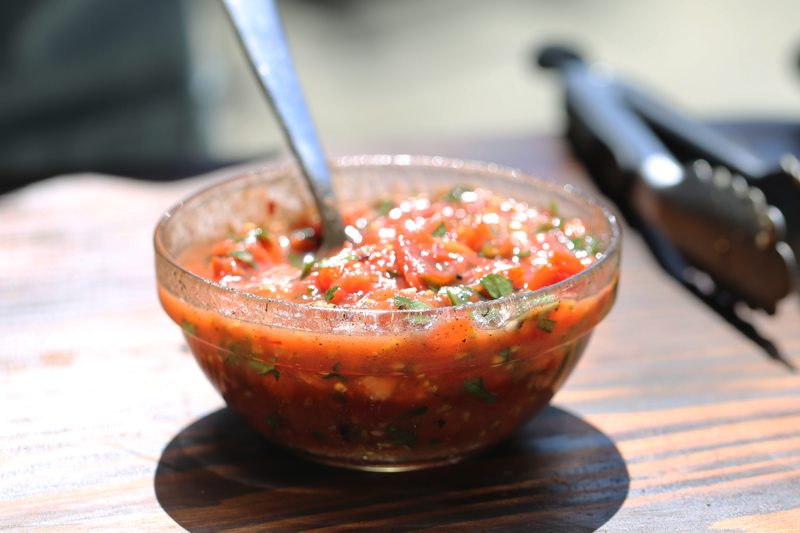 The delicious salsa recipe is going to be one you’ll use for any occasion, trust us!